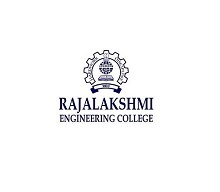 Rajalakshmi Institutions had organized a startup event by name Venture-Pitch. This event drew students who aspire to become entrepreneurs, from across many colleges in Chennai. Shyam Sekar S, Founder and Chief Mentor at Startup Xperts was invited to be their Chief Guest and Judge for this event. This was held at Rajalakshmi Engineering College, Tandalam, Chennai, on the 4-Jan 2017. The event witnessed idea formulation, poster competition, and finally pitch to Chief Guests, Jury, to qualify for prizes. There were many teams that had participated; finally about a dozen teams pitched in the final round and 3 of them won the prizes based on their innovation component, feasibility of their solution, articulation of their pitch and technology as an enabler.